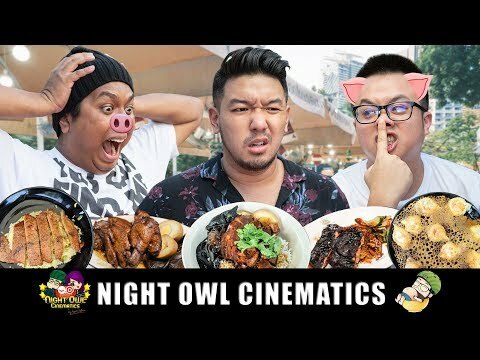 FOOD KING: BEST PORKY DELIGHTS? Welcome back! It’s Friday and that means it’s… Food King day! And today might well be our favourite-est episode of all time! Why? Because we are going to eat porky pork pork! 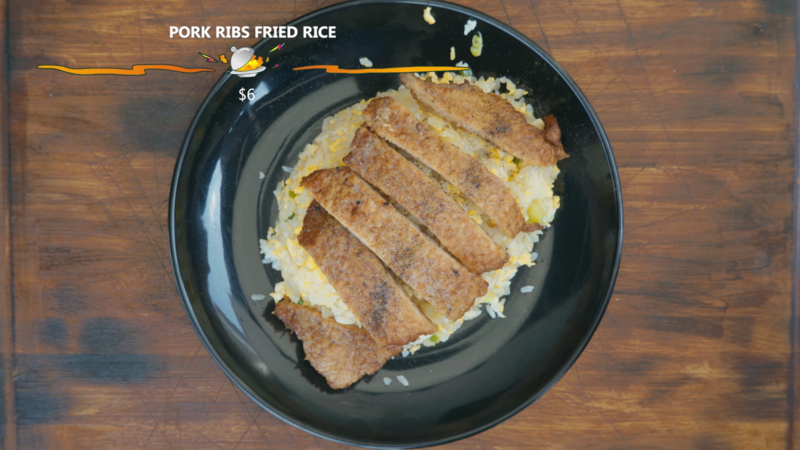 Basically, we are going to have different kinds of pork and rice. Yup, that’s about it. But it’s gotta be porking good. Let’s FEAST! 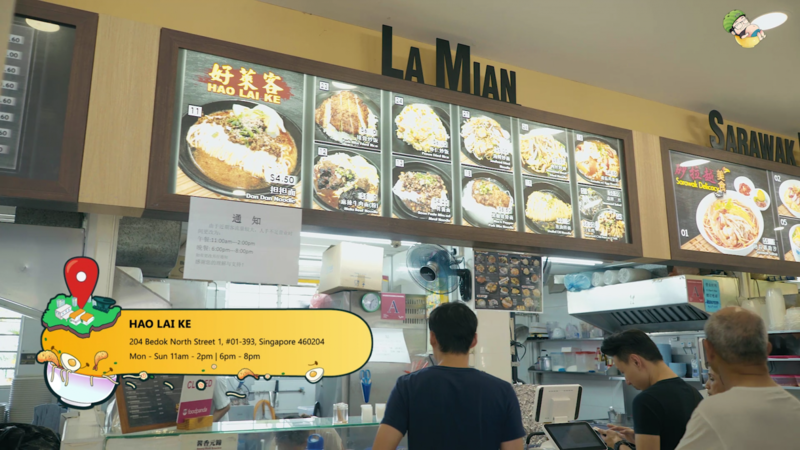 We are now here at a place called Hao Lai Ke, which literally translates to ‘Happy Patrons’. Well, we are happy to come here indeed. The food looks good already. Can’t wait to try them! We are having their Pork Ribs Fried Rice which is also their signature dish. 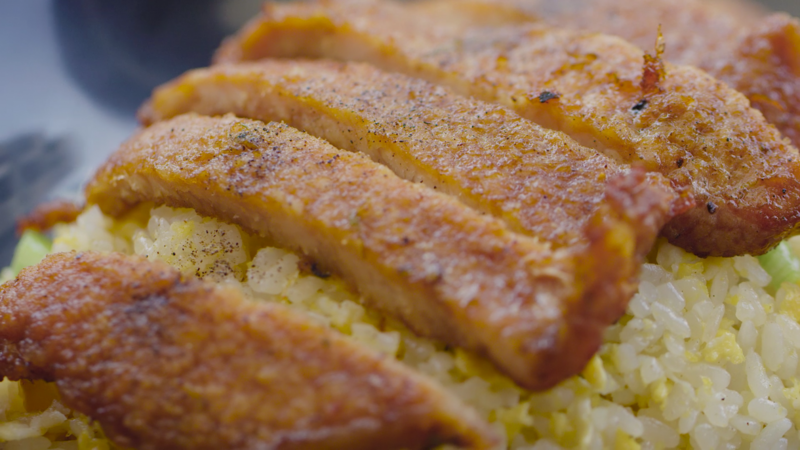 This pork and rice combo can’t really go wrong at all. 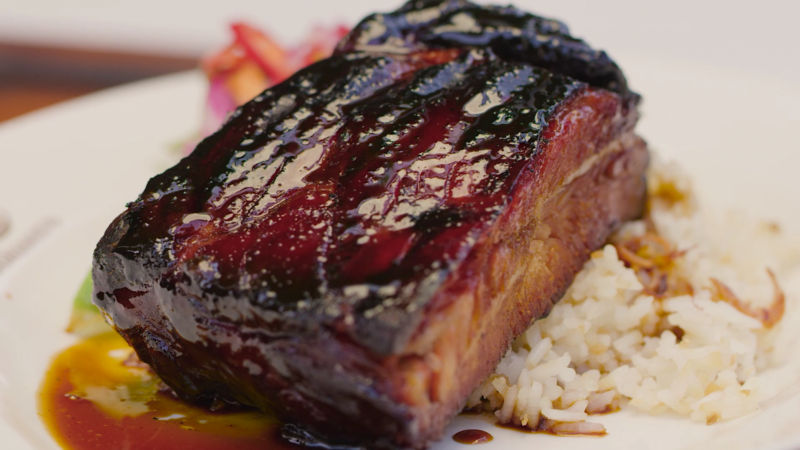 The pork ribs are not as tender and soft as we would have liked. However for this price, we can’t really complain. Definitely not restaurant standard though. 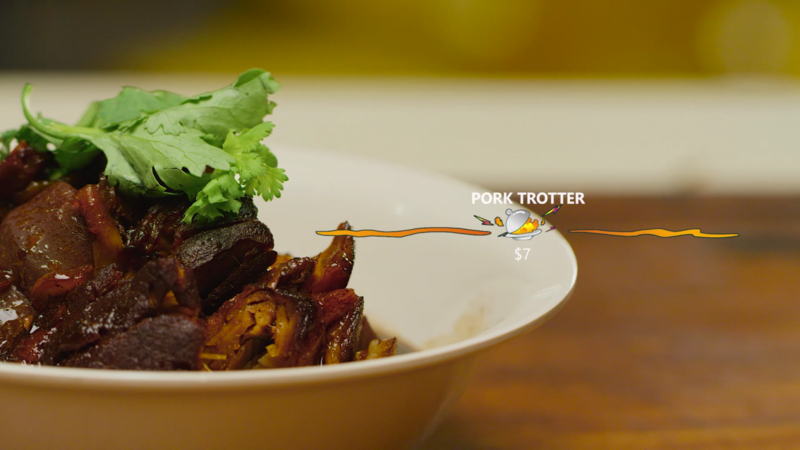 Here’s a really interesting dish. 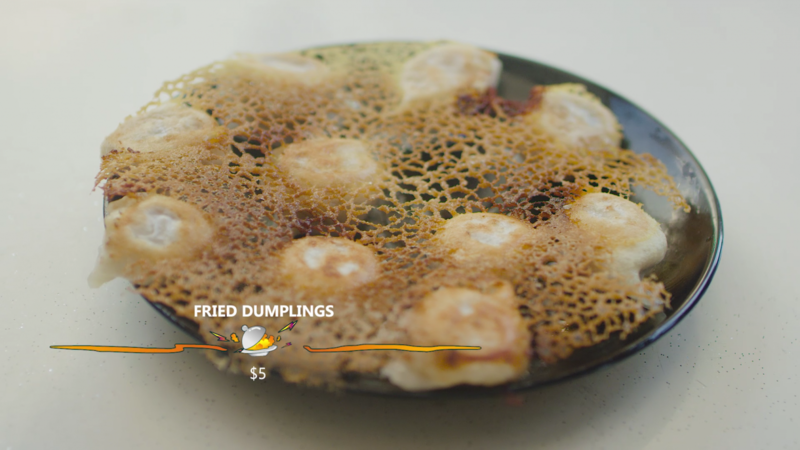 This plate of spiderweb-looking balls are actually pan-fried dumplings aka Potstickers (Guo Tie). The owner simply uses the flour that is used for the dough to make these spider pattern. 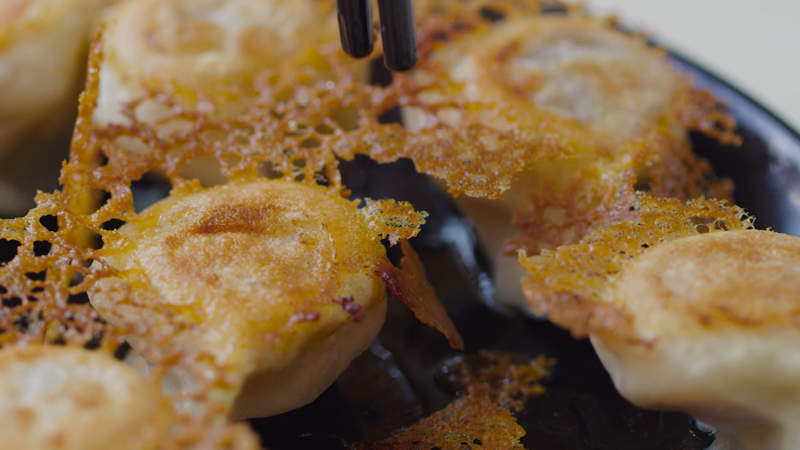 Because of that, there is a very distinct crunchy texture to the dumpling. Despite the unique appearance, the same can’t be said for the taste. The dumplings are a tad too oily for our liking. 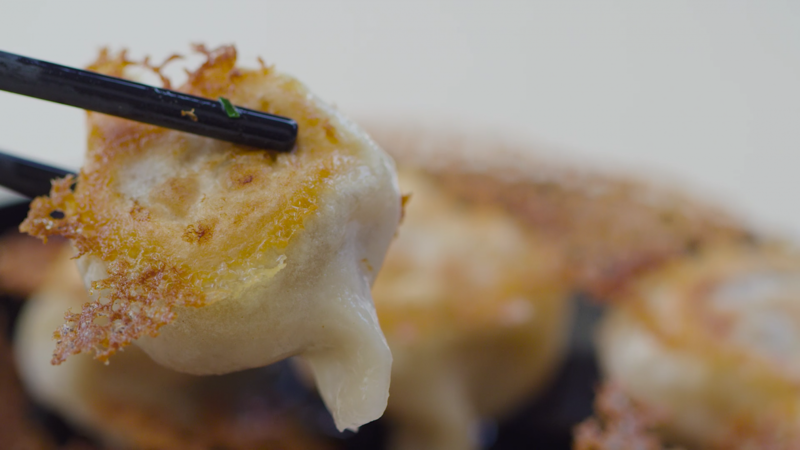 We can literally see remnants of oil surrounding the dumpling. The skin is very thick too. Interesting but not amazing. 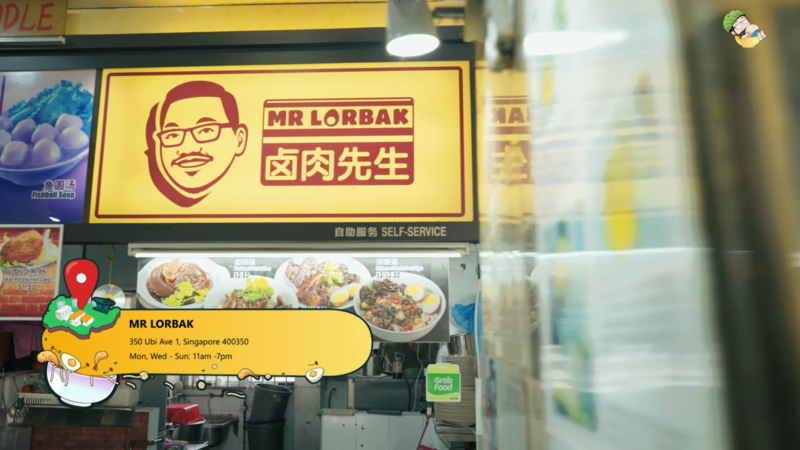 Okay, right now we are at this Mr Lorbak place and feeling rather fantastic. Because… I’m Mr Lorbak Lorbak, they call me Mr. Boombastic, say me fantastic… Opps we got a little carried away there. Okay back to our pork and rice. 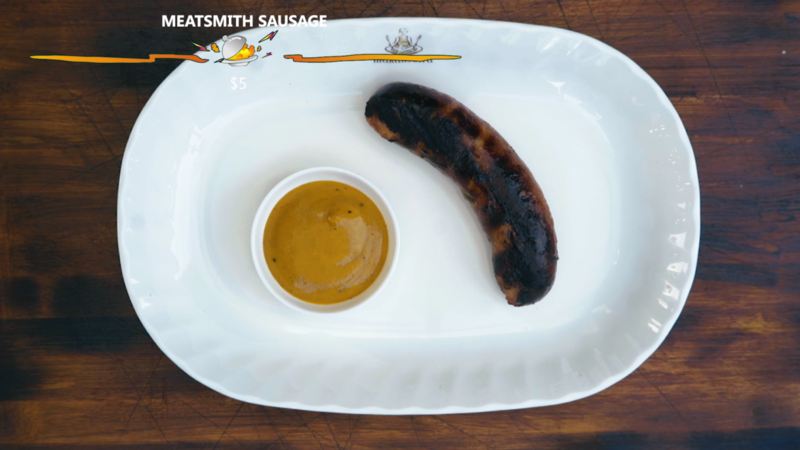 Like the great man who created pork once said, ‘If there is no fat, then what’s the point?’ So who said that? Well, you guessed right. 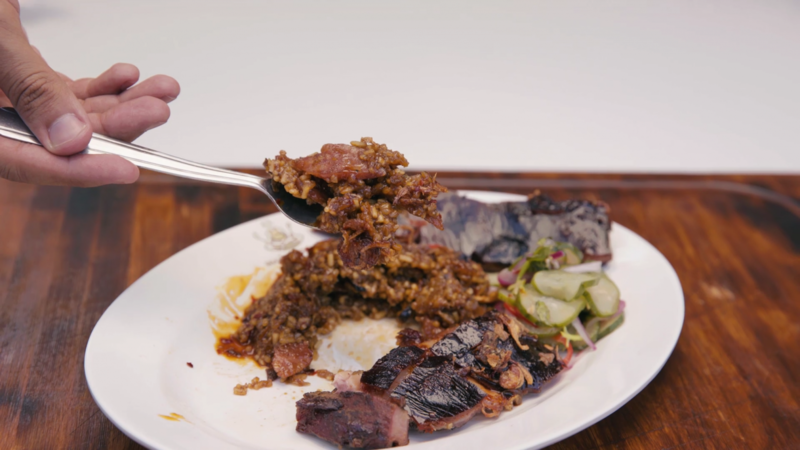 It’s none other that the king of pork himself, Dee Pork… And we are here to try their Lor Bak and rice as well as a plethora of other pork dishes here. 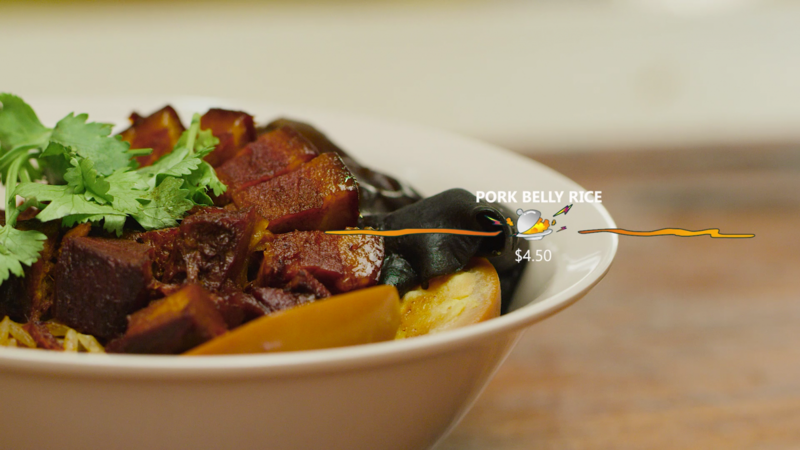 But first, we will start with the staple, which is the Braised Pork Rice. And boy is the fats in this braised meat so fatty good! 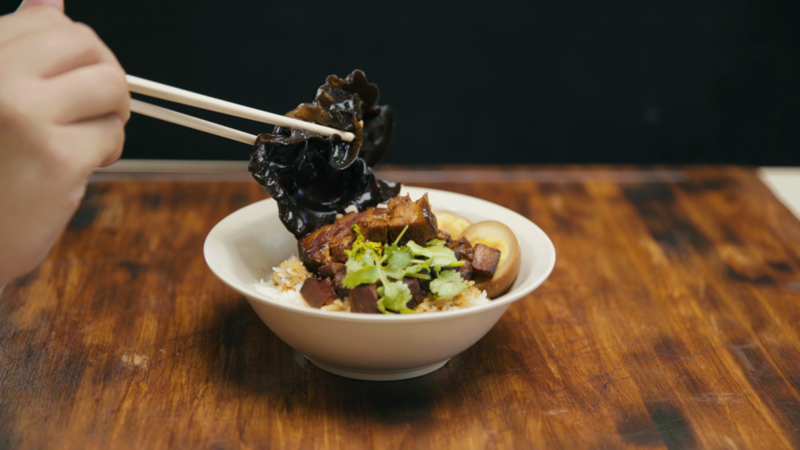 This bowl is a wonderful combination of meat that melts in your mouth and rice so fragrant it’s comparable to the Taiwanese Lu Rou Fan (Braised Pork Rice) but only more savory than sweet. We like it! 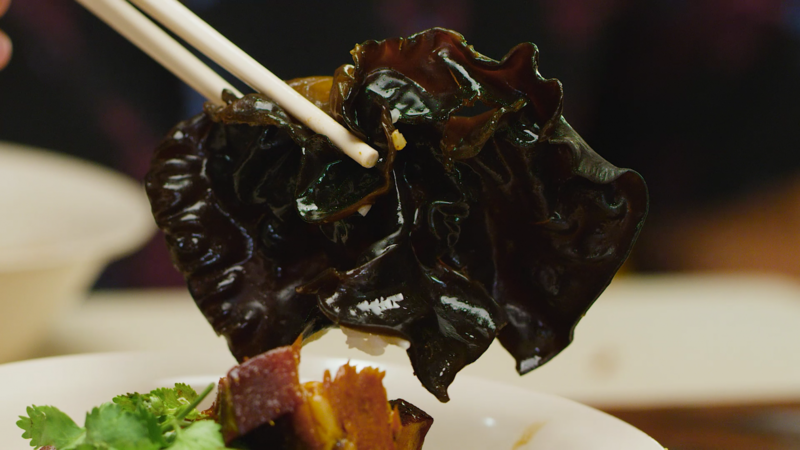 They also serve very good quality black fungus. We are not a fan of this but it taste really good. Just look at the size of this. It’s huge! 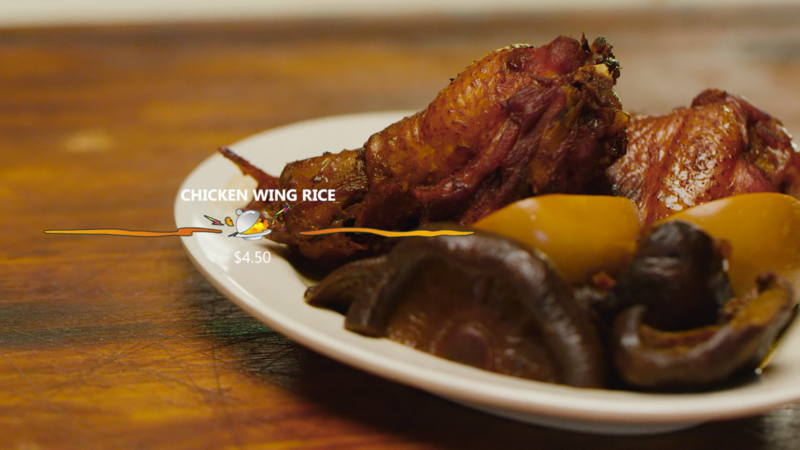 This got to be the best braised chicken wing we have eaten so far alright. We are really shooked by how tender the meat is. It just falls right off the bone! No kidding! Simply marvelous. This is our new favorite from now on. You’ve got to try it to believe. We are having the Pig Trotter and we’ve got to say we are shooked again. 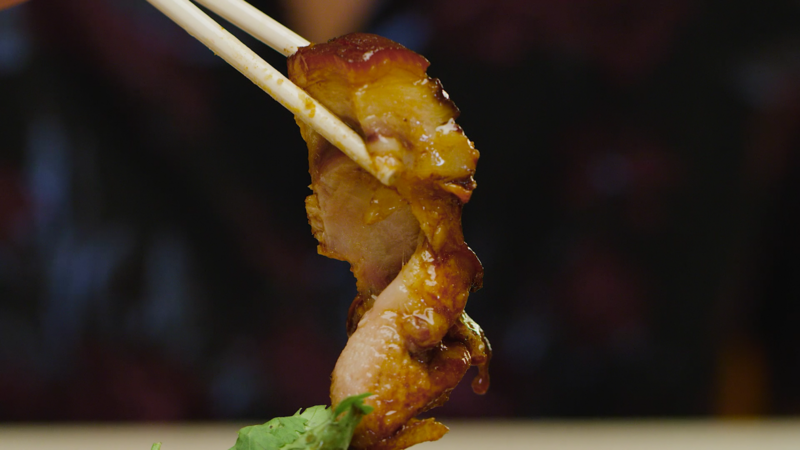 The skin and fats in the pork so soft and chewy. 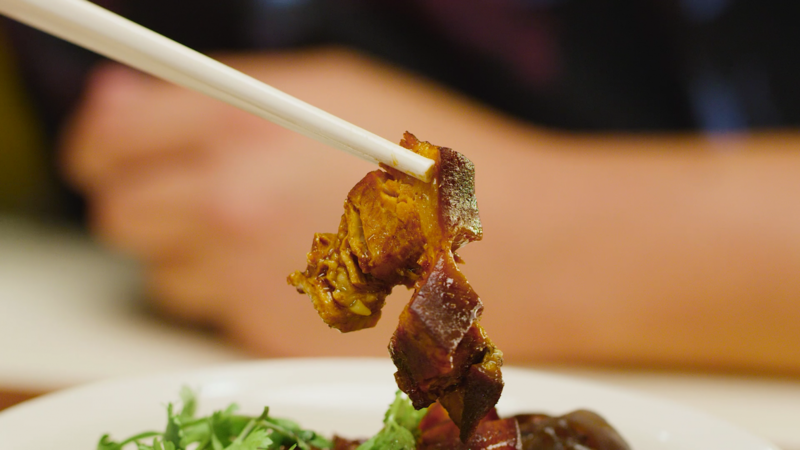 What’s more impressive is that there is no hint of the super strong vinegar taste you get in most pork trotter dishes. Also, the chilli is unlike anything we have tasted before. 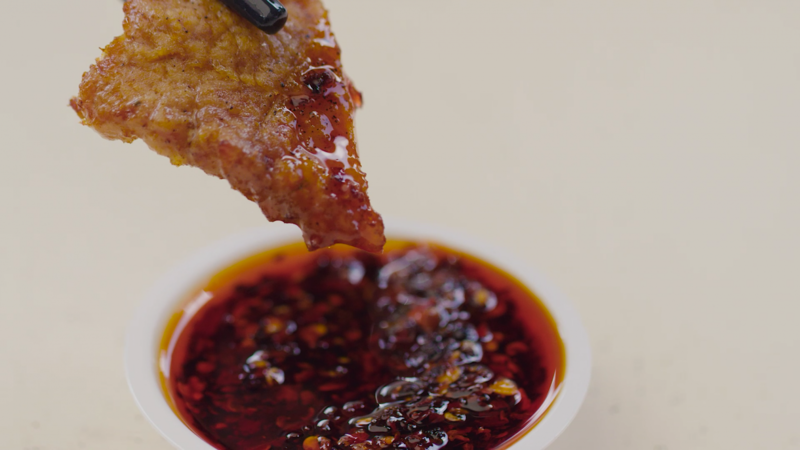 It compliments the braise sauce so well, giving a tangy sweet and sour texture to the entire dish. 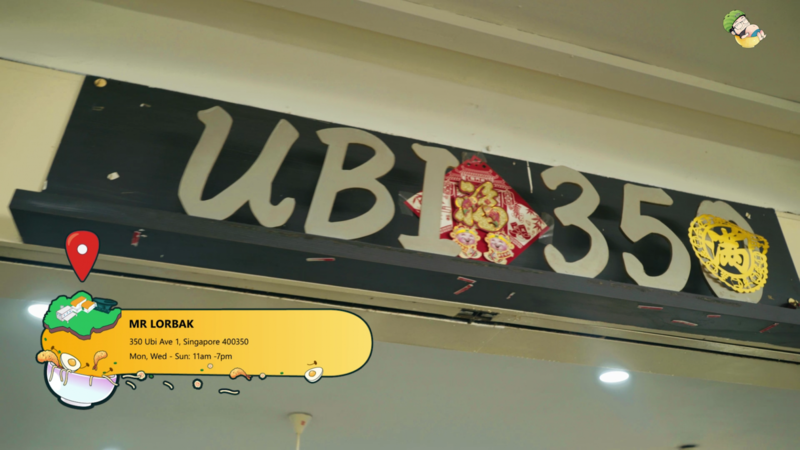 Ratings: 3 Stars, Food King Good!!! 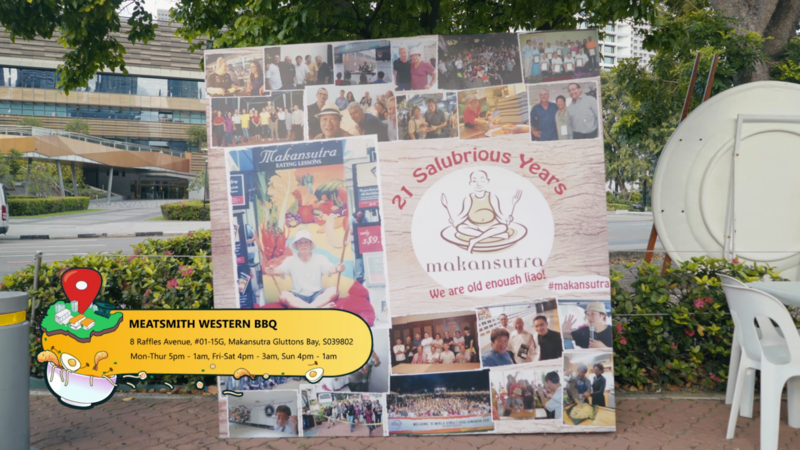 Right now we are at Makansutra beside The Esplanade where we will be trying the some dishes from Meatsmith. 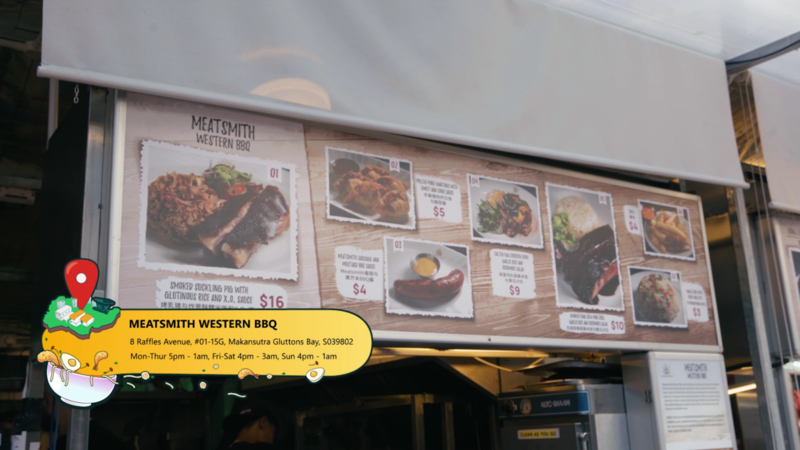 They originated from America and specialize in barbequed meats. 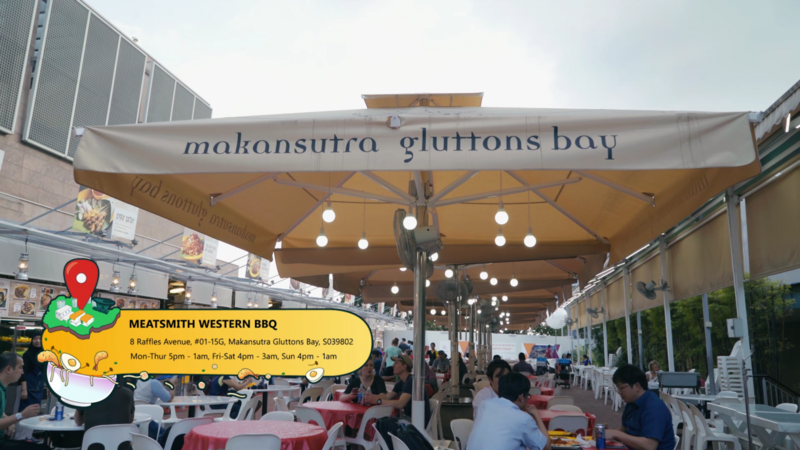 This is their first ever hawker stall, having already open 3 other restaurant branches in Singapore. First, we are having the Suckling Pig with Glutinous Rice. 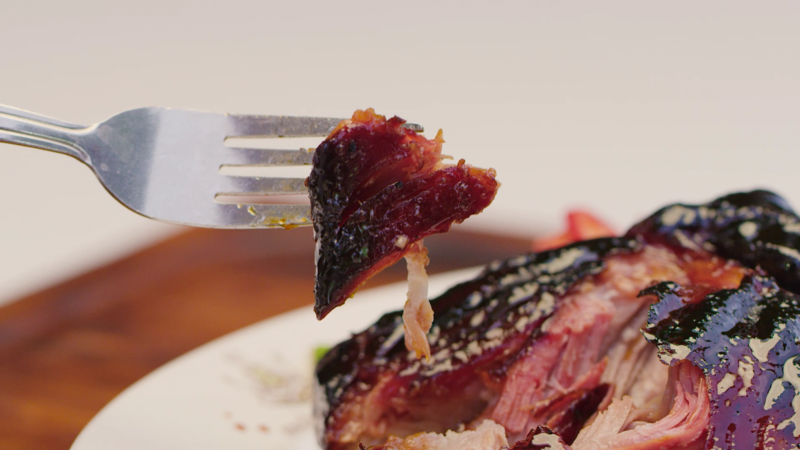 We’ve got to say the skin is really crispy which is always important for a dish like this. 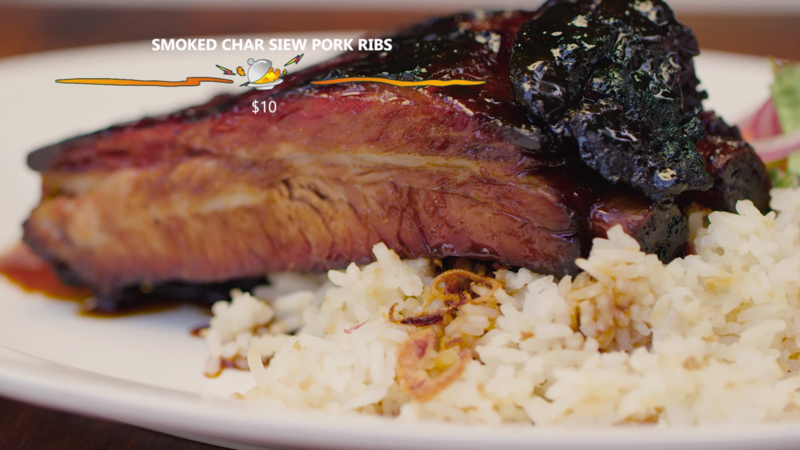 The first thing that hits you is the char and the smokiness from the wood, which is imported from Western Australia. The reason for using wood instead of the traditional charcoal is because this wood can burn up to very high temperatures which in turn cook the meat really well. 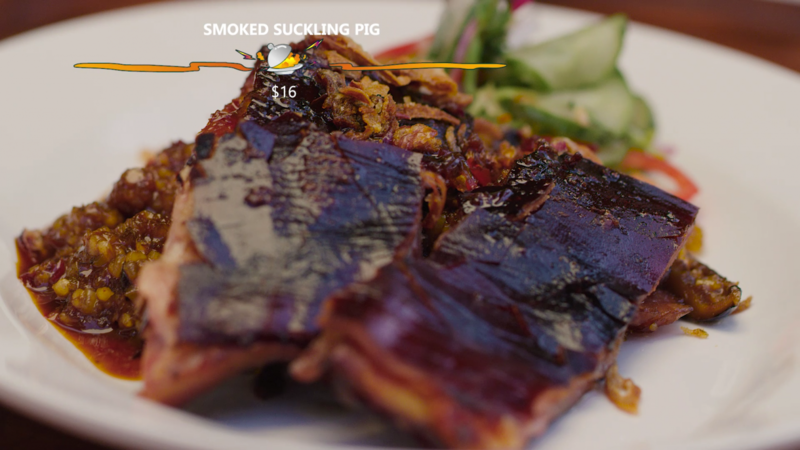 We feel like there’s a depth of flavours to the meat when it’s barbecued like that. However, the glutinous rice is a major letdown. It is not so savory and a tad too sweet. We don’t think it should be sweet-ish at all. Makes the entire dish seem out of sorts. This combination doesn’t do the meat justice. What a waste. 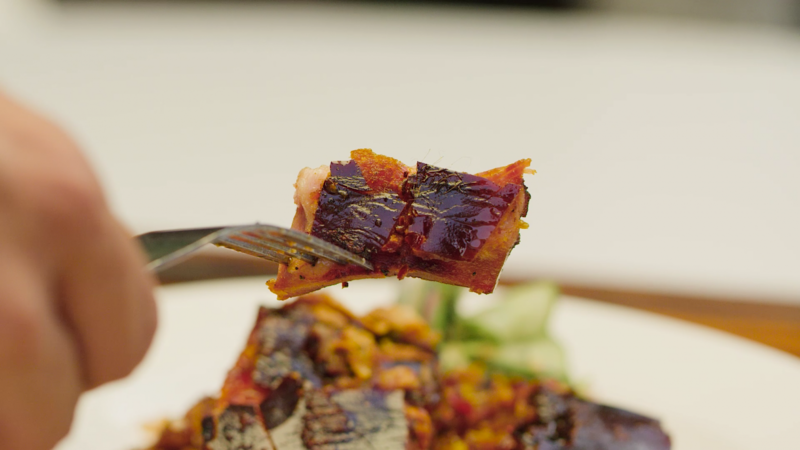 Next up is the Char Siew Pork Ribs. And wow, the meat just comes right off the bone. It’s so soft and tender yet not chewy. Unfortunately, just like the previous dish, the sauce is just too sweet. The less said, the better. 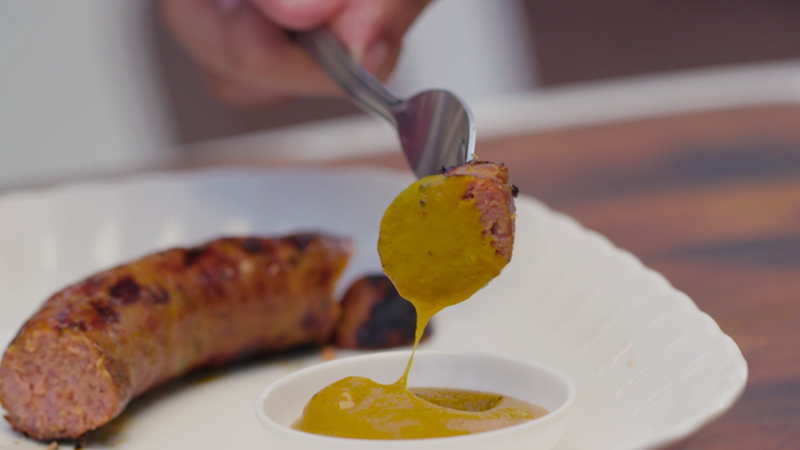 Our final dish is their in-house (handmade) sausage and it has a bit of an Indian, tandoori spice taste to it. 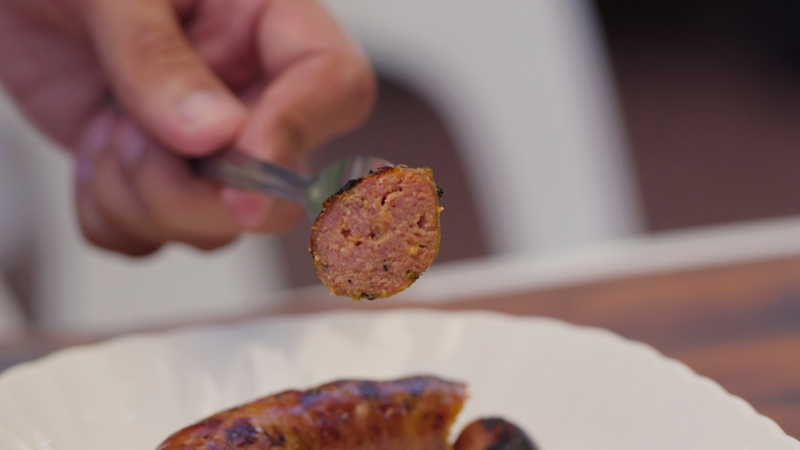 This sausage is different because it’s so aromatic and fragrant. It hits your nasal passages with all the scent and spices rolled into one. However, it can be too salty for some people. 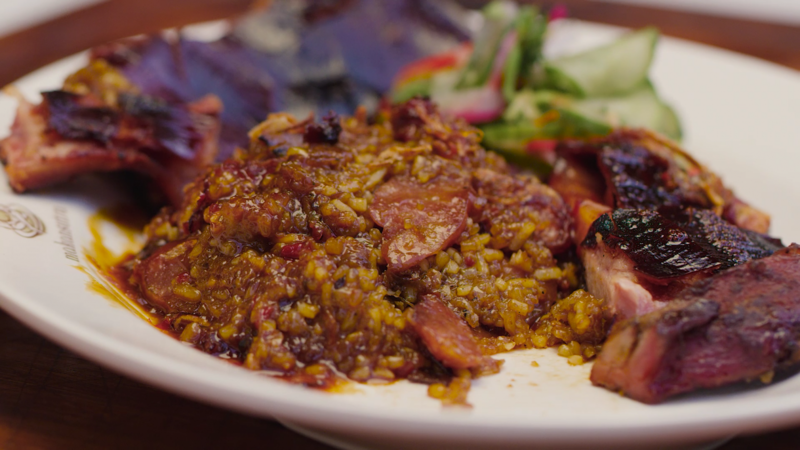 If you are a fan of tandoori or Northern Indian food, you will enjoy this. 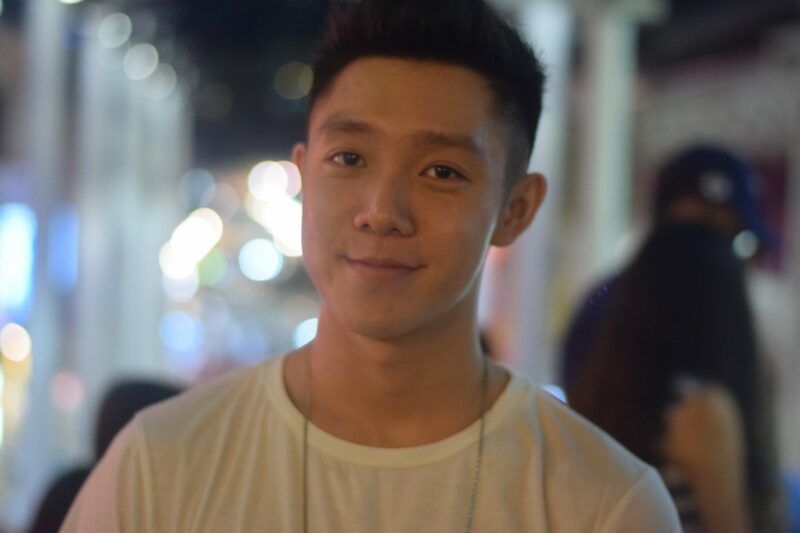 What’s the pig’s deal about today’s episode? Well, our belly’s as big as Dee Kosh’s already! And yet we still love it. Want more of us? Click the video below to revisit the 3 little pigs. You will be as amused as we are, surely.